Siah is a Professor and inaugural BNZ Chair in Business in Asia at the Victoria University of Wellington. The Chair position is co-sponsored by BNZ, MFAT, MBIE, NZTE and Victoria University. Previously Siah was Professor in Strategy and Associate Dean Postgraduate and International at the University of Auckland Business School. 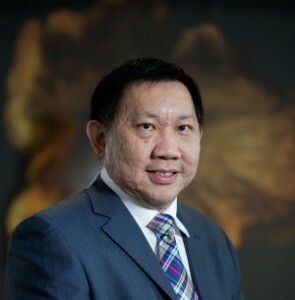 Before NZ, Siah has also been researching at Cass Business School, City University in London and the National University of Singapore, where he obtained his PhD in Management and has also been a teaching fellow and research fellow. Siah teaches strategy and international business courses at the executive, postgraduate and undergraduate levels, together with postgraduate research design/methods courses. He has supervised over 60 postgraduate students and has published papers with some of them. He is actively engaged in executive education and projects, has worked and working with executives from Fonterra, Fletcher Building, Fairfax Media, Cranleigh Merchant Bankers, BioPacificVentures, TCI Network (Spain), Ernst & Young (Germany), MFAT, NZ Customs Service, MBIE, NZTE, EQC, AucklandPlus, MoRST, Civil Service College (Singapore), TVNZ, Genesis Energy, and NZICA. He is also currently part of the advisory group for the Economic Committee of APEC. Siah’s main research interests are in the areas of alliances and acquisitions, competition, technology strategy, international business strategy, reputation and international and strategic human resource management. He also has special interests in biotechnology and information technology-related industries. Siah’s works have been published in international top-tier journals. He is the only NZ-based academic who has published twice in the top strategy journal in the world Strategic Management Journal since the journal started in 1980. Beyond journal articles, Siah has also co-authored a 564-page book titled Fundamentals of International Business published by John Wiley & Sons and his sole-authored 320-page book on Research Design for Business and Management will be published by Sage Publications in September 2014. Siah’s research has resulted in five international, university and faculty research awards. He sits on the editorial boards of seven international journals. Until mid-2013, he was the only NZ academic sitting on the editorial board of the Academy of Management Journal, a prestigious journal, after serving two terms of six years. In 2012, Siah also served as a specialist advisor in the 2012 New Zealand Tertiary Education Commission’s national research assessment exercise for Business and Economics.